In 2014, West London-based dance teacher Donna Schoenherr conceived of the idea of a dance organisation that would provide weekly top quality dance and movement classes for those living with Parkinson’s, as well as with other mobility restrictions. Donna, a former professional dancer, and founder of dance organisation Ballet4life.com®, had supported her father through his struggles with Parkinson’s for three decades. Through these struggles, she had been greatly inspired seeing first-hand the benefits that movement based therapy had for him and others. Motivated by her father’s journey, as well as the New York-based Mark Morris Dance for PD programme, Donna and a dedicated team of volunteers and staff decided to take action. 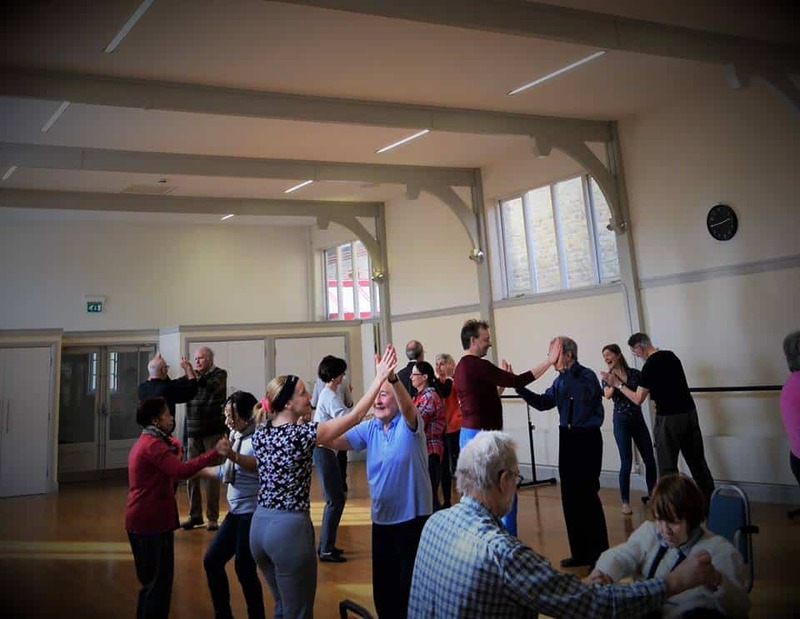 They set to work creating their own dance programme that aimed to improve balance, co-ordination, confidence and the general wellbeing of those living from Parkinson’s. Chiswick located Move into Wellbeing® has flourished and after three years of hard work recently obtained full charity status (Number 1172264). For more information on Move into Wellbeing® and how to support their good work visit the site here. Move into Wellbeing® classes run on Thursday and Saturday afternoons in the dance studio at St. Peter’s Hall, Southfield Road, W4 1BB. No previous dance experience required. First class free!